"Bowed" redirects here. For the social gesture, see Bowing. For the playing technique, see Bowing (music). Bowed string instruments are a subcategory of string instruments that are played by a bow rubbing the strings. The bow rubbing the string causes vibration which the instrument emits as sound. 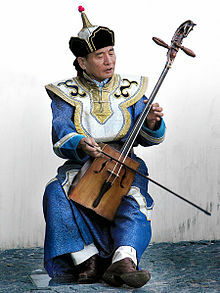 Two performers playing the Erhu, sometimes known as the Chinese fiddle. The following instruments are sounded by means of a turning wheel that acts as the bow. This page was last edited on 17 April 2019, at 06:43 (UTC).